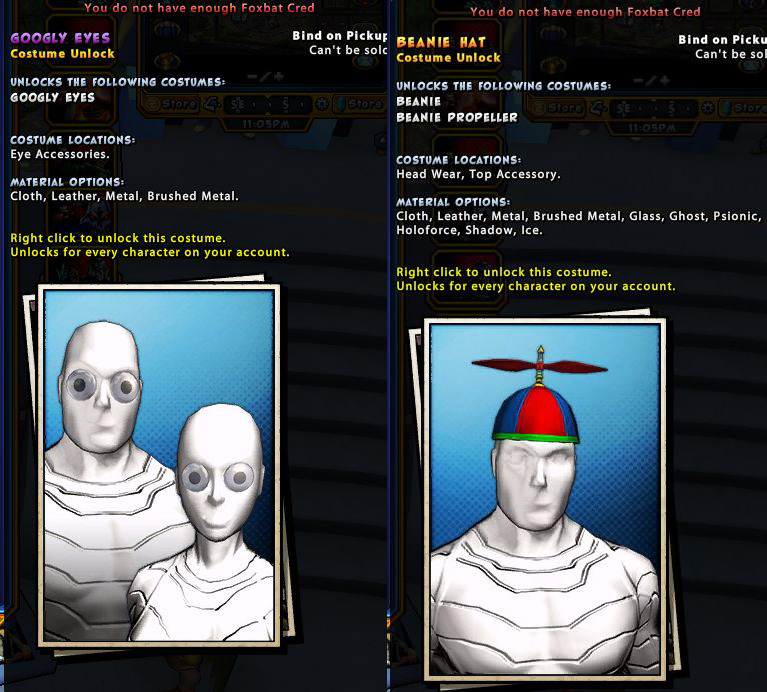 Added Googly Eyes and Beanie costumes to the event vendor. Added Googly Eye Ray device to the event store. Made a separate section for Foxbatcon perks. Updated all Alerts that granted generic rewards (like Stars and Catalysts) to instead grant an Equipment Kit. The reward circle will now only appear once the final cutscene has ended and players have been moved into the reward room. Made a change to Grond to prevent his pathing from bugging out. Added a lunge to Grondling enemies. Removed duplicate role icon on the team readout. Fixed a bug where some Vanity device items still played an animation on players equipped with the Fun Nullifier device. Added additional random objects to the base fx. Fixed a bug where this power was being disabled by travel disable effects. Reduced recharge time to 3 seconds (from 5). Gronds pathing is ~so~ much better! He still moves a tiny tiny bit, but it is so small it is not problematic. We tried to position him through the wall. He got into the wall a little bit but not enough to cause any issues and he never went out of the room. I noticed the grondling adds have a working lunge now, but they still go static on occasion if their target jumps. Yeah, we tried it out. Grond can get closer to the edge than he used to (I always used to be able to push past him around the edge of the room to place puddles better, now I can't, and I can get him standing on the ledge half clipped out of the room), but neither of those things really breaks anything. Couldn't figure a way to clip him through the door, though not a master of clip-fu so someone else might have better luck. It basically reminds me of how the fight used to be. Grondling lunge is... probably slightly useful to the OT and harmless for everyone else. Every time a grondling lunges is a time when it's not throwing rocks, and throwing rocks is way more dangerous than anything it does at close ranges. Yes, the eye can move. Yeah, it makes getting the grondling to the OT much quicker and spend less time getting aoe to death at Grond's feet. Beanie propeller 2 is bugged; it has colors in its material selection, and the propeller itself doesn't render, though the shaft does (I suspect it's supposed to be an animated part like cosmic flames, but if so it doesn't work). Those googly eyes would be perfect for beast heads. If they don't clip too much. Yeah, those goggly eyes aren't compatible with beast head. It suffer the same problem as most of the eye accessory ie it made for human head or very flat faces. Overall: I'm very much liking this new version of Telekinesis (Power). (So much so, I'm retconning on LIVE right now in prep for it). The updated summon and throw animation is great as well as the lower cool down. Both are very welcome changes, ones which a few people were suggesting for a while since the last major change / rework it had, so thank you for listening! It still feels like a novelty power but one which has a good place in combat to switch things up a little bit. I fully support the idea of being able to create a Catnado! I want 'pick up one mob and throw it at another mob', though that might be tricky to implement. Catnado TP, Kitty Power Fist, Summon Cat pets or Cat Vortex Power! Coming to CO soon, Cat Powerset!! Incidentally, I have seem what was I think a lion statue when using telekinesis. Can we throw mobs... so I can be the guy, controlling a guy, throwing another guy? Now bring on Toast Armor, Toilet Flight TP and Coachella Krampus costume set! Welcome to Champions Online Wacky Toons Mobile! How are these latest changes to telekinesis making it worse? Yeah I don’t think it matters now. The change is live and people seem to like it, good for them. I think it's a complain that you can now fling toilets and other wacky things with TK's animation.